An Entrance with Charm...Exquisite detailing and old-world craftsmanship draw you in at a first glance. 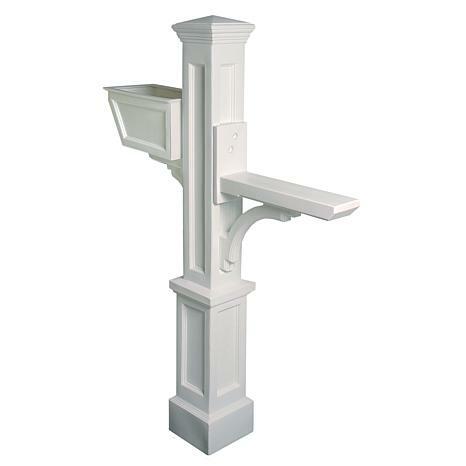 The Westbrook Mail Post in white is a simple addition that will create a dramatic difference for your entire home. 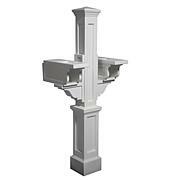 Installs easily over a standard 4x4 wood post. Mayne plastic mail posts are made from high quality polyethylene with built in UV inhibitors for long lasting protection from the elements. 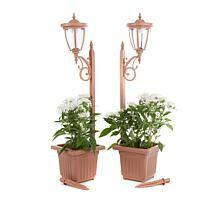 Includes decorative post, mailbox support arm, and planter. Small mailbox recommended. Best suited for light weight mailboxes weighing less than 7lbs. 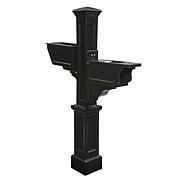 Top inset panel on the post measures 1.9in W x 25.5in H. Note: 4x4 wood post, mailbox, and mailbox mounting hardware NOT included. Optional Mayne No-Dig Ground Screw available. 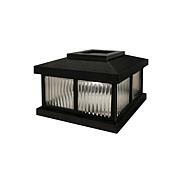 Optional Mayne Solar Cap Add-On available in white or black. 15 Year Limited Warranty. Made in the USA. Best suited for light weight mailboxes weighing less than 7 lbs.